Officer Who Dragged Nurse From Hospital Has Been Fired. The police officer who was filmed forcefully handcuffing and dragging a nurse out of a hospital has been fired, following a media storm. 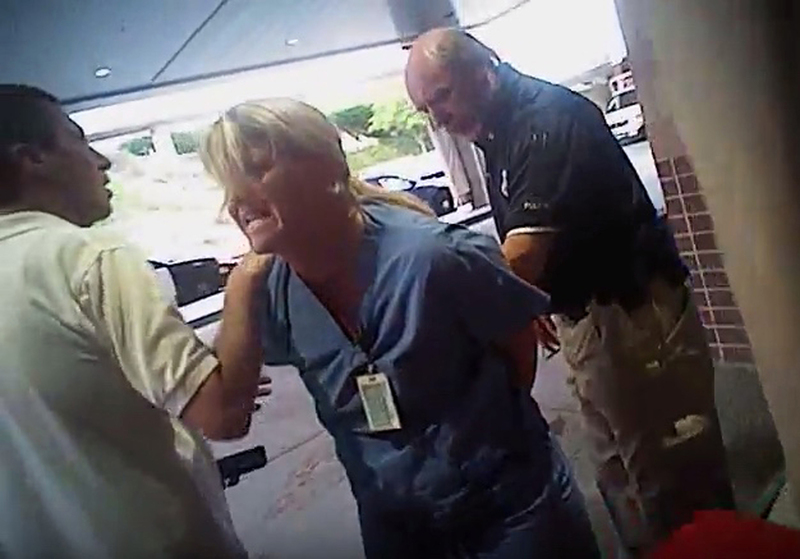 Authorities in Utah have confirmed that Detective Jeff Payne, who was filmed handcuffing the nurse when she refused to draw blood from a patient, had lost his job. 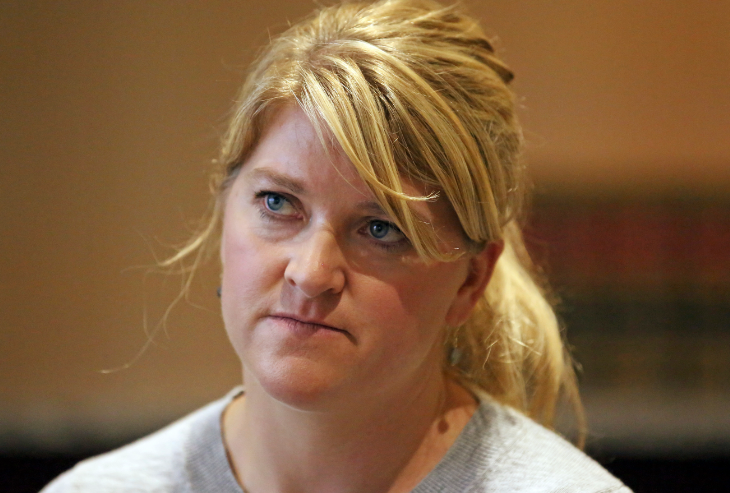 Attorney Greg Skordas, who represents Payne, said his client will be appealing the decision. The clip of Payne and nurse Alex Wubbles went viral, with many people questioning the use of force. In the footage, caught on a body camera, Wubbles can be heard trying to explain that hospital policy required a warrant, or consent of the patient, before she could give blood – the officer had neither. The clip shows the nurse speaking on the phone to her superior before explaining that police don’t meet the criteria for her to take blood from the car crash victim. He then roughly drags her toward the exit, before pushing her over something outside and arresting her. The nurse can be heard to cry out ‘help me!’ before sobbing. Wubbles, a former Olympian, was shut in a car for 20 minutes before eventually being released. She was never charged with any offence. Salt Lake City police chief Mike Brown said in a disciplinary letter that he had been ‘deeply troubled’ by Payne’s conduct, calling it ‘inappropriate, unreasonable, unwarranted, discourteous, disrespectful’. Skodras questioned whether Payne’s behaviour warranted him being fired. Saying his client agreed to being disciplined, but the decision to fire him was unfair. Karra Porter, Wubbles’ attorney, said her client was ‘pleased’ that Brown took action, adding that this case showed the importance of officers wearing body cameras.